To celebrate the 21st anniversary of its original release, Blur’s debut album Leisure has now been remastered from the original tapes by Frank Arkwright (The Smiths, Arcade Fire, New Order, Joy Division), with the remastering overseen by legendary original producer, Stephen Street. Now accompanied by an entire disc of newly mastered bonus material, the Leisure Special Edition brings together all the b-sides from all original single formats which include little-heard Blur gems, alternative mixes, remixes, live tracks (including Day Upon Day, which is the only recording of this Blur song ever made), plus a demo of I Love Her and the rare track Close which were previously available only as Blur Fan Club singles. The Leisure Special Edition is housed in a deluxe lift-off lid box with four exclusive Blur artwork postcards and an expanded booklet that includes previously unseen photos and liner notes based on a brand new interview with all the band members. To celebrate the 21st anniversary of its original release, Blur’s debut album Leisure has now been remastered from the original tapes by Frank Arkwright (The Smiths, Arcade Fire, New Order, Joy Division), with the remastering overseen by legendary original producer, Stephen Street. Now accompanied by an entire disc of newly mastered bonus material, the Leisure Special Edition brings together all the b-sides from all original single formats which include little-heard Blur gems, alternative mixes, remixes, live tracks (including Day Upon Day, which is the only recording of this Blur song ever made), plus a demo of I Love Her and the rare track Close which were previously available only as Blur Fan Club singles. 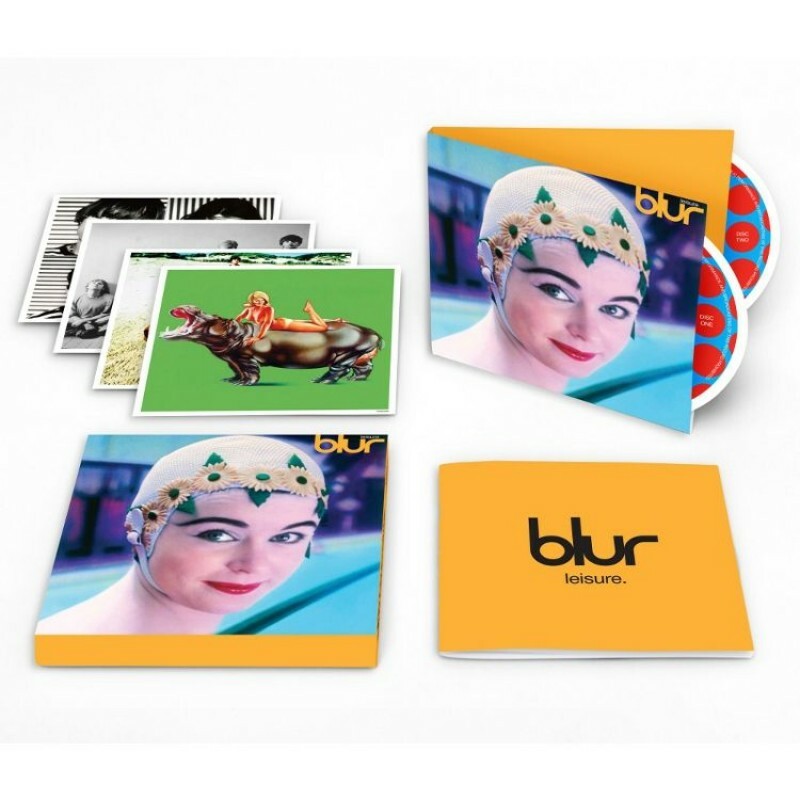 The Leisure Special Edition is housed in a deluxe lift-off lid box with four exclusive Blur artwork postcards and an expanded booklet that includes previously unseen photos and liner notes based on a brand new interview with all the band members.